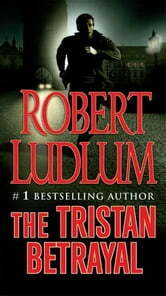 The Tristan Betrayal | Rakuten Kobo. In the fall of 1940, the Nazis are at the height of their power - France is occupied, Britian is enduring the Blitz and is under the threat of invasion, America is neutral, and Russia is in an uneasy alliance with Germany. Stephen Metcalfe, the younger son of a prominent American family, is a well-known man about town in occupied Paris. He's also a minor asset in the U.S.'s secret intelligence forces in Europe. Through a wild twist of fate, it falls to Metcalfe to instigate a bold plan that may be the only hope for what remains of the free world. Now he must travel to wartime Moscow to find, and possibly betray, a former love - a fiery ballerina whose own loyalties are in question - in a delicate dance that could destroy all he loves and honors.